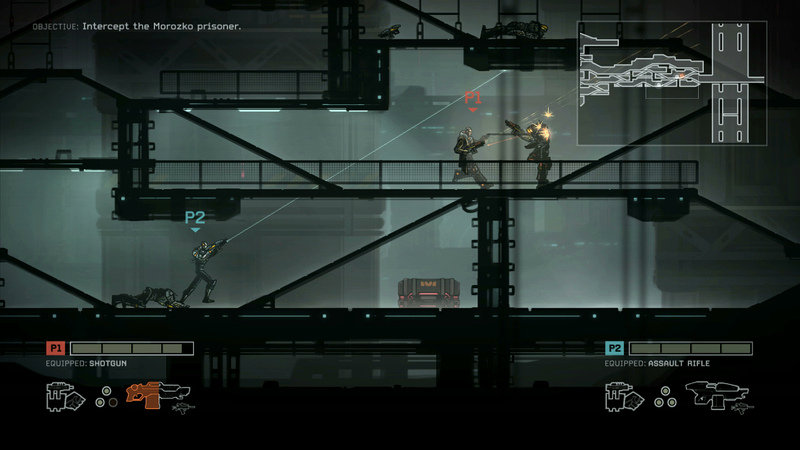 From our coverage of Pax East 2011, we talk to Mike McCain of Moonshot Games about the art and gameplay of their first title, Fallen Frontier. A little background: this entire interview happened only because I was waiting a while to play this game. It wasn’t until I was reviewing this footage today that I realize the person taking so long before me was Tim Schafer. aDam and I played for about 15 minutes and we were both really impressed. The game played smooth and the level we went through was really huge with lots of options for taking on enemies. Split screen seemed really odd at first, but totally natural once you played it. Most games will split top/bottom or left/right for two players, but Fallen Frontier splits at an angle, and the line will move or tilt based on which way the players are heading and what they’re doing. When you rejoin, the line disappears and you share the screen again. Really cool idea. Moonshot still has a long way to go on this title, but its clear they have some good ideas in place already. We can only hope they deliver on our expectations! Although it’s usualy anime convention who get the attention as far as cosplay goes, PAX East had its fair share of good cosplay this year. You can see what I mean, especially after reading my cosplay article. 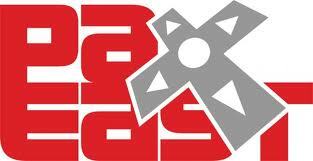 PAX East is upon us! Even though some Poweteers ended up stranded for various timeframes due to poor weather in Boston, some of us managed to brave through the rain and arrive to the Boston Convention & Exhibition Center (relatively) intact! Upon first entering, it’s clear that despite the radical move from the Hynes Convention center that Pax East was at last year (and originally was slated at for the next few installments), the BCEC is much better at accommodating not only the droves of gamers from all over, but also the scores of vendors, media outlets, and industry guests that are here to show off their wares at the much larger Expo Hall. Whereas last year’s PAX East overshot attendance expectations and seemed cramped, this years looks like it will shape out to fare much better in its roominess. Enjoy the first photos from the convention under the cut as the beginning of our adventures at PAX! More will be coming through the weekend! Here’s hoping that rumor about $12 for a hot dog and drink turns out to be untrue.